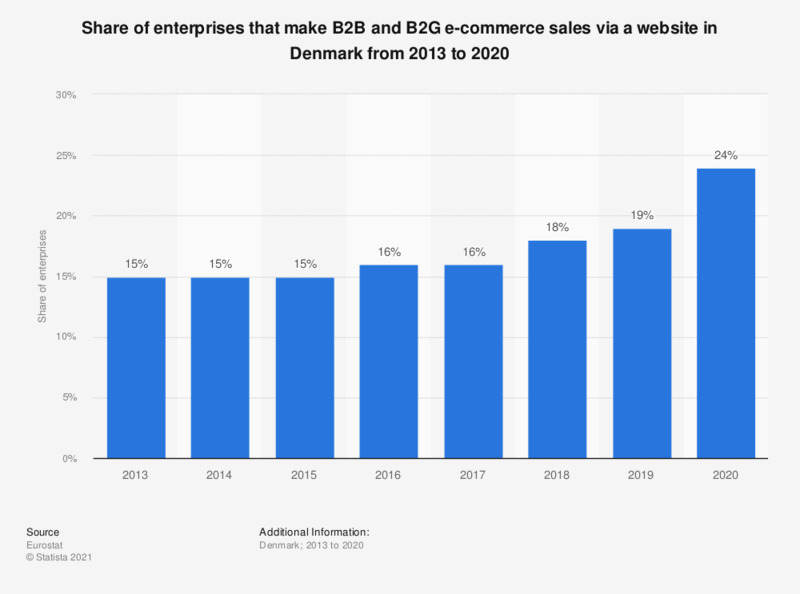 This statistic displays the share of enterprises that made B2B and B2G e-commerce sales via a website in Denmark from 2013 to 2016. In 2016, 16 percent of enterprises based in Denmark made B2B and B2G e-commerce sales through a website. Does your company's e-commerce consist of EDI, online sales, or both? In order to sell your products and/or services online, which of the following do you use?